The White Lake Preservation Project is made up of volunteers from all parts of White Lake working together to ensure the long term health of White Lake. 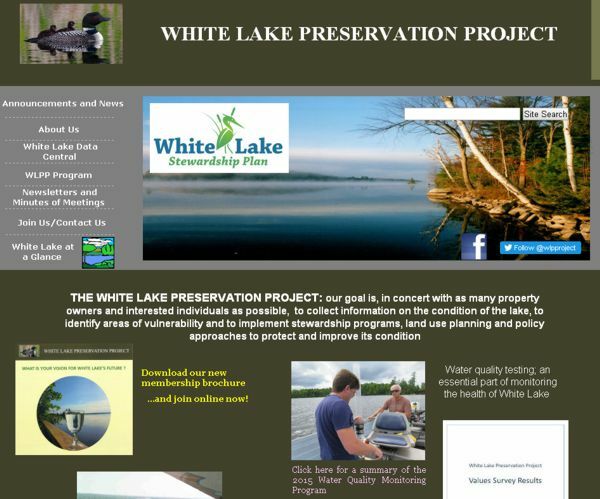 Below is a brief discussion of the concerns which led to the formation of the White Lake Preservation Project and a list of objectives towards which we are working. We have completed to date an extensive survey of White Lake Property Owner's opinions and concerns about our lake and are now organizing a meeting of volunteers from around the lake to discuss and formulate our plan. Some of the objectives of the WLPP are given below. In 2013 there were 2 algal blooms on the Lake, one in the spring and a blue-green alga in late September. They were both confirmed by Ministry of the Environment. The blue-green alga was found in all parts of the Lake. Blue-green algae can be accompanied by toxins which, if they exceed a certain level, will result in closure of the Lake by the Ministry of Health, for all recreational purposes and as a water source. That did not happen this time. You can read about an example of a lake that is suffering and that is close at hand if you search Muskrat Lake at Cobden and for an idea of what it would take to rehabilitate a lake search Heney Lake Rehabilitation on the Internet. We are also concerned about an increase in weed growth on the lake, both native plants and possibly introduced species. Increases in algae and weeds are primarily the result of the levels of Phosphorus in the water. Excess phosphorus levels in the Lake are primarily the result of human activity. It comes from septic systems (human waste and phosphorus containing cleaning products) and from fertilizers and pet waste. Phosphorus is not contained by septic systems. How fast it reaches the lake depends to some extent on the kind and age of the septic system, the amount of use of the system e.g. all year vs seasonal, on distance from the lake, the kind of soil, and the vegetation between the source of the phosphorus and the Lake. Once phosphorus levels become high in a lake it is virtually impossible to rectify the situation. Currently a new 200-site trailer park is proposed for the Lake at Bennet's Point on Haye Bay beside Bayview Lodge. These are to be 3-season sites, together with a marina and a swimming pool. It is beside a provincially protected wetland. This new camp site will require a significant sewage system, draw a large amount of water from the Lake and will add significantly to boat traffic. The proposed site is in the Township of Mississippi Mills. White Lake is located within the borders of 4 Townships. The trailer Park application is somewhere in the review process but it appears that the public comment period may be over. A large section of the north shore and almost all of Hardwood Island is part of the Algonquin Land Claim. We have no understanding of what this means in terms of development of those areas which were, as Crown Land, to be undeveloped and to contribute to the preservation of the water quality and wildlife of the Lake and surrounding area. - Increased the frequency of sampling for phosphorus on the Lake through the provincial Lake Partner Program. - Involved the Ministry of the Environment in identifying the algae. - Have commitment for a small program with Carleton University to start to study the algae and aquatic vegetation in the lake, which we hope to expand. - Had discussions with a fisheries biologist regarding a review of existing data on the fish in White Lake and aplying for a grant to improve fish habitat. - Met with all 4 Townships about our concerns about the Lake. We would like the Townships to work together in future on factors which affect the whole lake. -programs to study the condition of the lake and its wildlife. -scientific results, and interpretations, both historic and current. -developments proposed or taking place. -all information on White Lake including literature published since the 1940s. - Carried out an extensive survey of property owners on the lake regarding concerns. Results published on website. - Identifying volunteers to help with the project. 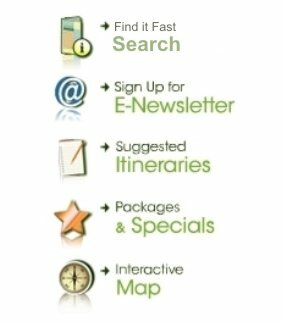 We are looking for chemists, naturalists, communicators, writers, computer assistance and anyone who could help us in any way to further the goals of the White Lake Preservation Project. - Developing a network of interested persons to further communication with property owners in all areas e.g. Wabalac Road, North shore, Roycroft Peninsula. - Developing a Lake Management Plan - a strategic process that provides the opportunity to engage property owners, business operators, visitors and governments to develop and implement actions to maintain or improve the natural and socialqualities of life on the lake. - Carrying out a Lake Capacity Assessment which is a planning tool that can be used to control the amount of one key pollutant, phosphorus, entering lakes. - Developing a Stewardship Program to prevent further degradation of and to rehabilitate parts of the Lake. - Reviewing water level management at White Lake Dam.